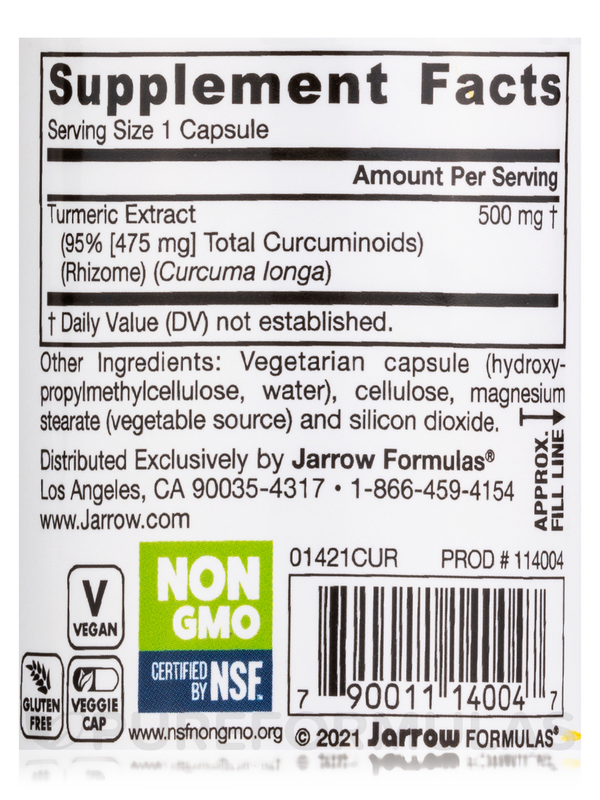 Everyone should use Curcumin by Jarrow Formulas because it is a natural way to cleanse the body. I take the capsules on a daily basis and also cook with the spice. It's top quality! I love Curcumin Jarrow Formulas, I feel very safe taking this brand. Good high dosage as well. 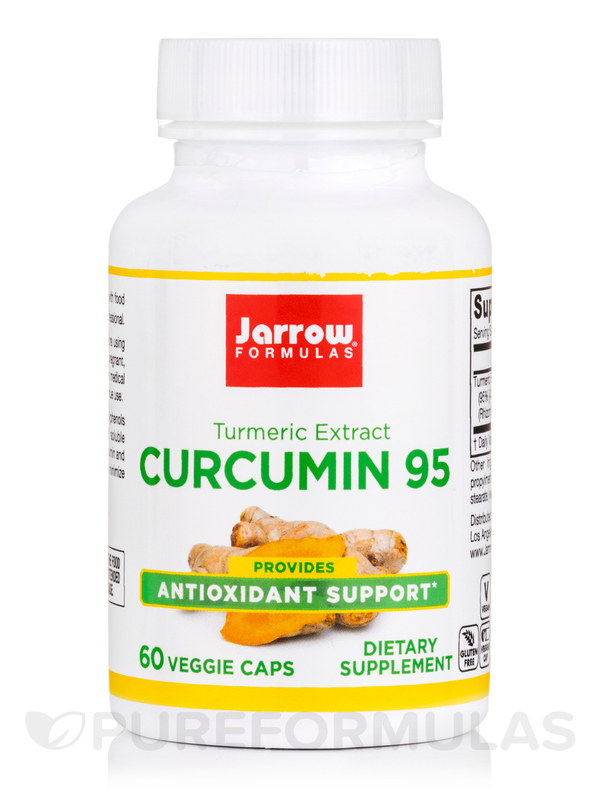 Curcumin 95 - 500 mg 60 Capsules from Jarrow Formulas® may support antioxidation activities in the body and maintain overall health. Turmeric is a well-known spice that is used for cooking in India. It is well-known that turmeric has a rich record of medicinal values. The bio-active compounds found in turmeric are called curcuminoids. Curcumin is the most prominent of all curcuminoids. 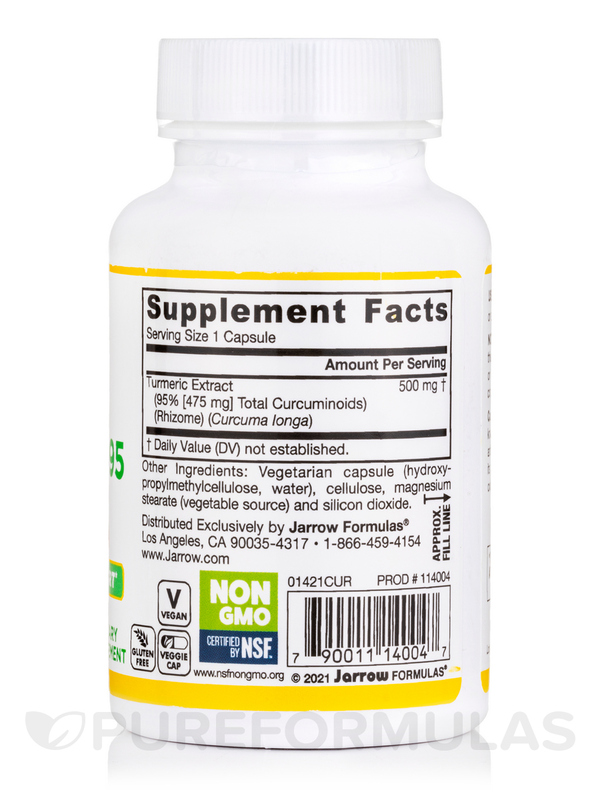 This supplement from Jarrow Formulas® contains 95% concentrated curcuminoids. The curcumin may potentially possess excellent antioxidant and anti-inflammatory qualities. These may help cleanse the internal systems and maintain the overall metabolic activities of the body. Some studies say that curcumin may aid in fighting harmful foreign invaders like pathogenic bacteria. The bio-active compound may also help in conditions like metabolic disorders and certain heart related conditions. Curcumin’s anti-inflammatory qualities involve in the prevention of NF-kB (the molecules that trigger inflammation in the body). Many people also believe that curcumin may potentially promote BDNF (Brain Derived Neurotrophic Factor) levels in the brain. BDNF is a type of hormone responsible for the brain development activities (like neurons forming new connections and multiplying). The supplement does not contain soybeans‚ gluten‚ wheat‚ egg‚ dairy products‚ peanuts‚ tree nuts‚ fish or shell fish. 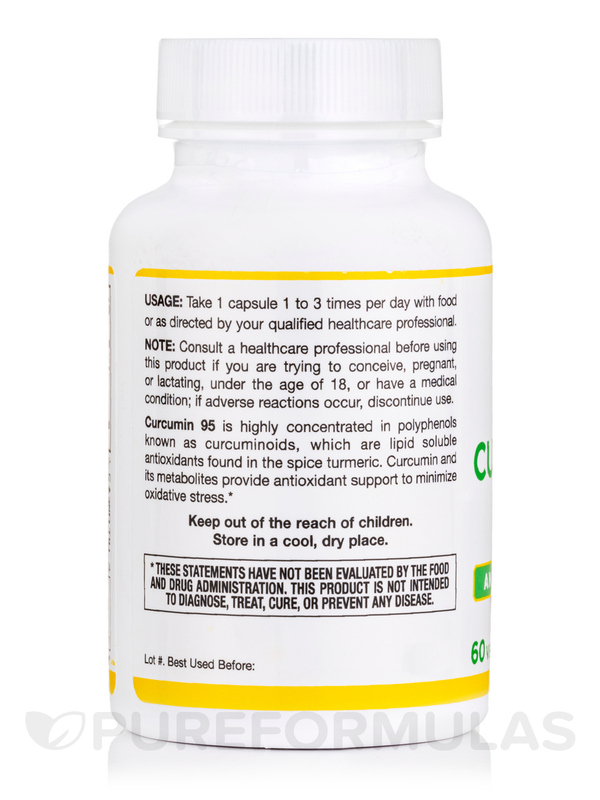 Include Curcumin 95 - 500 mg 60 Capsules from Jarrow Formulas® in your diet and ensure overall body metabolic wellness. If you have a medical condition‚ are pregnant‚ lactating‚ trying to conceive‚ under the age of 18‚ or taking medications‚ consult your health care practitioner before using this product. Wondering if it needs something to make it more bio available. 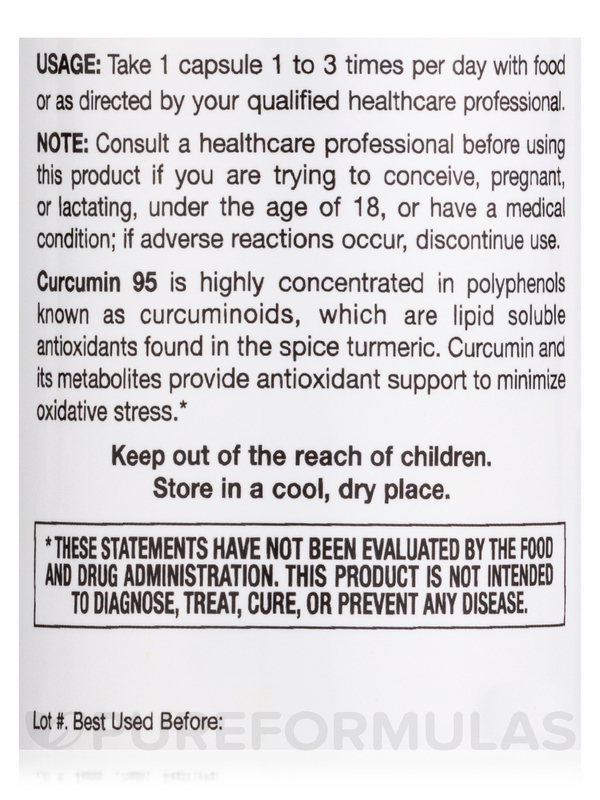 I have tried a few different Curcumin products but Curcumin 95 works the best for me. The brand is reliable to provide a good product. Can get expensive depending on the amount taken.